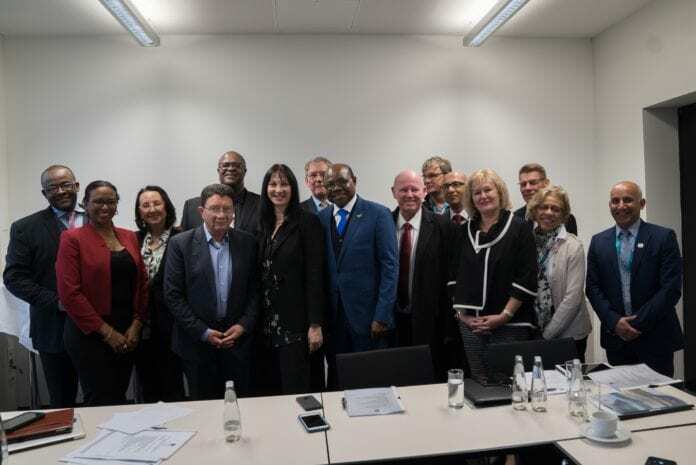 Board Members and associates of the Global Tourism Resilience and Crisis Management Center (GTRCMC) had their second meeting, in Berlin, Germany today to discuss their major projects, which will be completed this year. Speaking at the board meeting, Tourism Minister and Chairman of the Center, Hon. Edmund Bartlett said, “I am very happy to announce that we are ahead of schedule for many of the plans that we have for the establishment and operations of this very important global institution. Our partners have been very active in securing important potential investors, as well as in the development of our key initiatives. The major 2019 projects include the appointment of the Professorial Chair in Resilience and Innovation at University of the West Indies (UWI); the development of the Global Tourism Resilience and Crisis Management Tool-Kit; and the development of the Global Tourism Resilience Measurement Framework for Global Tourism Resilience Readiness. They also intend to develop an appropriate Global Indices for Tourism Resilience Readiness, as well as the official GTRCMC Academic Journal. The Center, with the assistance from East Park Drive and partners, has also engaged several potential investors to fund other projects. Some of these include the Tourism Seismic Readiness Study of International Airports across the Caribbean; Tourism Climate Resilience Awareness Campaign for Small and Medium Size in Small Island Developing States (SIDS); and the Tourism Health and Wellness Audit among SIDS. 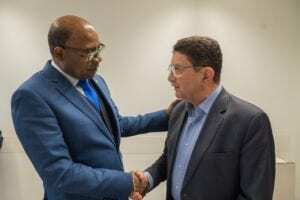 The Global Tourism Resilience and Crisis Management Center (GTRCMC) was launched on January 30, 2019 at the Montego Bay Convention Center and is housed at the UWI. The focus of the Center includes: Risk Assessment, Mapping and Planning; Cyberspace Policy and Counter-Terrorism; Resilience-Related Research Collaborations; Development of Innovation Systems; Coordinating resilience policies with the government, Resource Mobilization, Capacity Building and Cross-Border Intelligence-sharing. It will also provide research fellowship opportunities for individuals seeking to either expand their knowledge or, gain experience in tourism resilience and crisis management, through postdoctoral research, and internships for undergraduate and graduate students in fields of study related to tourism resilience and crisis management. The first Board meeting was held on November 4, 2018 at the Chesterfield Mayfair Hotel in London, UK. The Board discussed among other things: the thematic focus of the Centre; the location of the Center and, possible satellites in the Americas, Asia, Africa, Europe, the Mediterranean, the Middle East as well as Oceania. Minister Bartlett was accompanied by Dr. Lloyd Waller, Senior Advisor/Consultant and Gis’elle Jones, Research and Risk Management in the Tourism Enhancement Fund, who acted as secretary for the Board of Governors Meeting on the Global Tourism Resilience and Crisis Management Center. eTN Corporation President Juergen Steinmetz also attended the board meeting. The team is expected to return to the island on March 09, 2019.